Download our brochure for more information about our organization and our programs! For 29 years now Spring Rebuilding Day has been our flagship program event, engaging the vast majority of the 40,000+ volunteers that we have worked with, accounting for close to half of the 2,027 projects we’ve completed, and certainly representing some of the most impactful work that we manage every year! 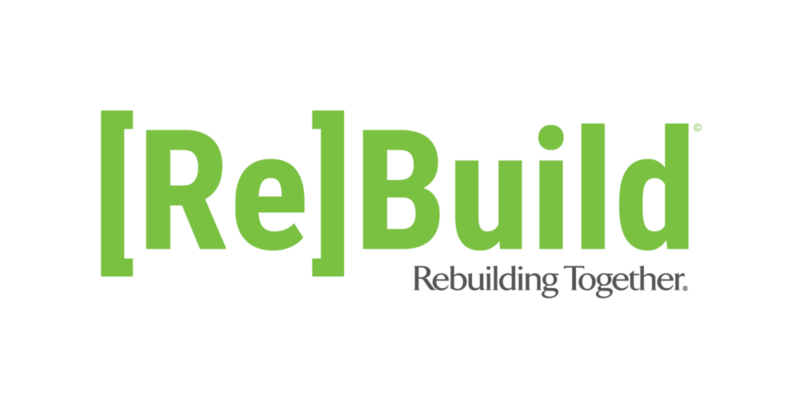 Recently, we have decided to expand this event and join the National Rebuilding Month movement. Rather than limiting projects to one day, we will be building with groups throughout the entire month. The Team Build Program consists of sponsored rebuilding day events that take place throughout the year, outside of Spring Rebuilding Day. Team Build is well suited for companies or organizations looking for a rewarding team-building volunteer opportunity for their employees. Team Build allows volunteers and businesses to make a one-day impact in the community while being publicly recognized for their efforts. The average Team Build project utilizes the support of around 30 volunteers. Safe at Home is Rebuilding Together Seattle's year-round maintenance program. It provides homeowners with critical home repairs, such as grab bars, flooring, kitchen appliances, security repairs, electric repairs, plumbing repairs, and more. Safe at Home projects are completed by individual volunteers or small teams of skilled volunteers over one or a few work days. To learn how you can volunteer your repair skills to help homeowners in need through the Safe at Home program, please visit our Volunteer page. If you are interested in learning more about any of our programs, please contact Caleb Marshall at cmarshall@rtseattle.org or call 206-682-1231.